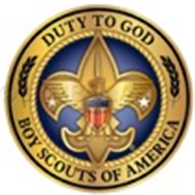 Showcasing resources for Duty to God and a Scout is Reverent. Are you between 20-40 and looking for a way to get back involved with the Boy Scouts of America? Do you have a few hours that you can donate your time towards projects that will help strengthen the Duty to God message within the BSA? If so, the National Religious Relationships Committee is looking for volunteers for different Sub-Committees and for different Projects. If any of the below items sound like something you would like to volunteer your time with, contact us at dutytogodbsa@gmail.com with the assignment name, your contact information, and what council/faith group. We will work with you to get approval from your local council and faith group to get you onboard. Social Media Blogger: We are looking for two people from each faith group partnering with the BSA that wants to blog about activities, programs, and more on this website. Time commitment: 2 articles a month. Skills: writing, photography, and passion. Video Editor: We are looking for two to four people that can put together videos for the social media pages for the National Religious Relationships Committee. We will have some projects where we will send you raw footage, and others where we want you to go out and get footage from your local events. Time commitment: project to project. Skills: video editing. Letters of Congratulations: We are looking for people that will reach out to community leaders across the country to create letters of congratulations from politicians, religious leaders, etc. for youth that complete a Religious Emblem. Time commitment: a couple hours a month. Skills: communication, writing, networking. Newsletter Editor: We are looking for someone to create two monthly newsletters for the National Religious Relationships Committee. One that goes out to faith partners and units, and the other for inner-committee communication. Time commitment: a couple hours a month. Skills: communication, writing, organization. These positions involve three in-person meetings a year, and monthly sub-committee conference calls. Plus projects as assigned. Media Sub-Committee: Working with coordinating a social media platform for the National Religious Relationships Committee. Religious Relationships: Working to build a communication network of faith leaders from various charter partners of the BSA. Religious Emblem Coordination: Working with councils to develop and strengthen religious emblem promotion.